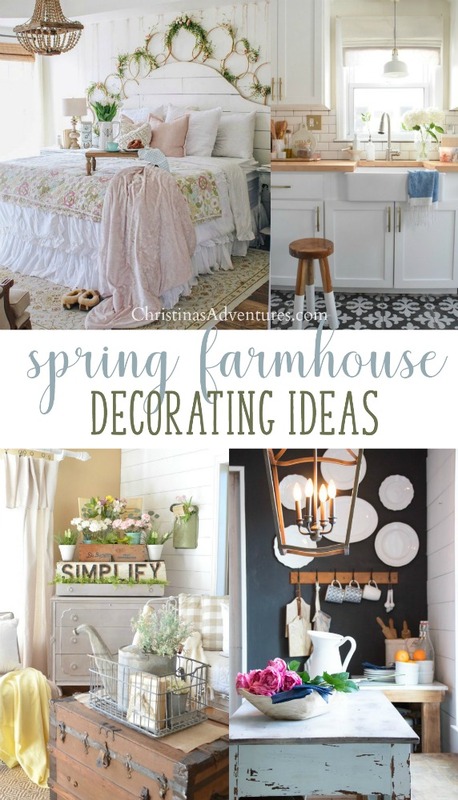 Use these ideas to help with your spring farmhouse decor this year. 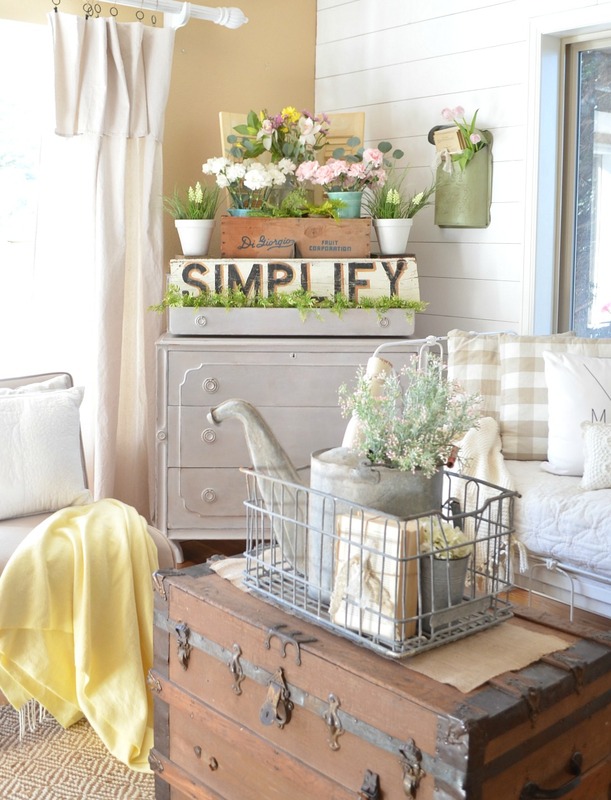 Simple, fresh and budget friendly ideas to bring life into your home decor this spring! Spring is COMING! It’s so exciting to see the buds coming up, the daylight lasting longer into the evening, and the promise of warmer days ahead. We’re so ready for spring over here, and we’re getting our house ready too! 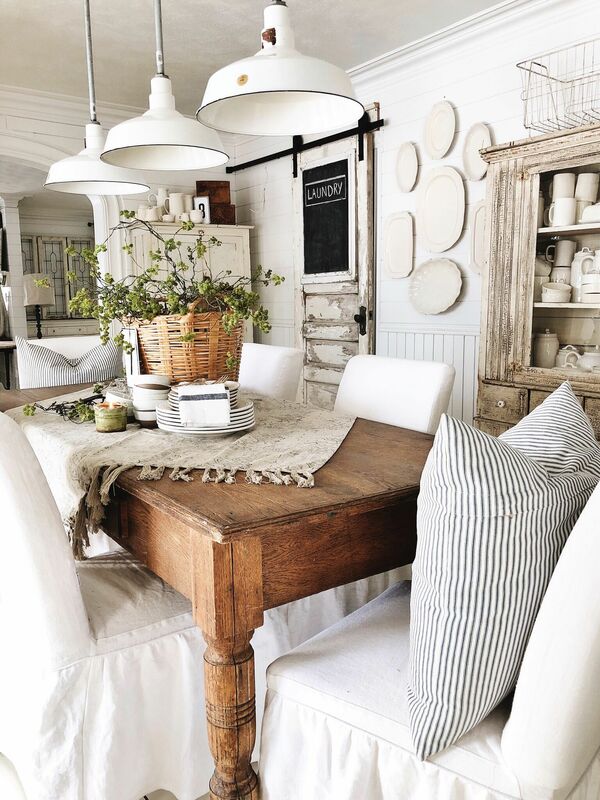 Come see some of my biggest inspirations for spring farmhouse decor this year. This spring bedroom is *perfection*. 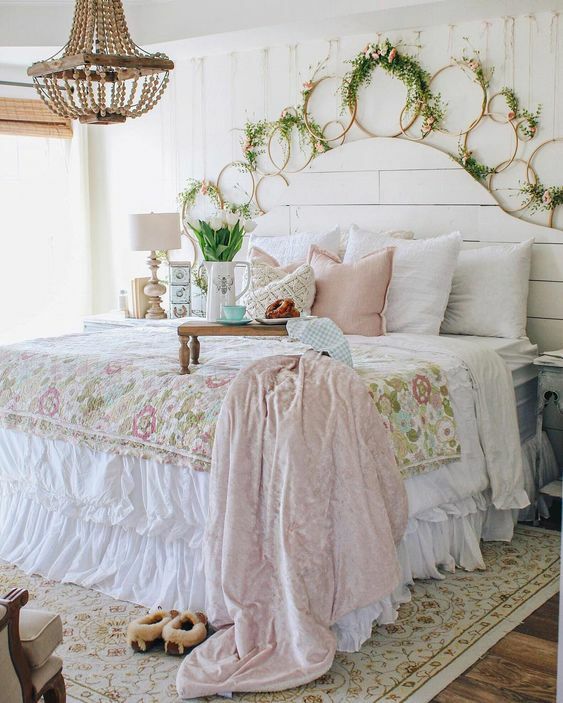 Erin from CottonStem is just such an inspiration – I am in love with her spring bedroom and that embroidery hoop wall is perfect – see that tutorial here! 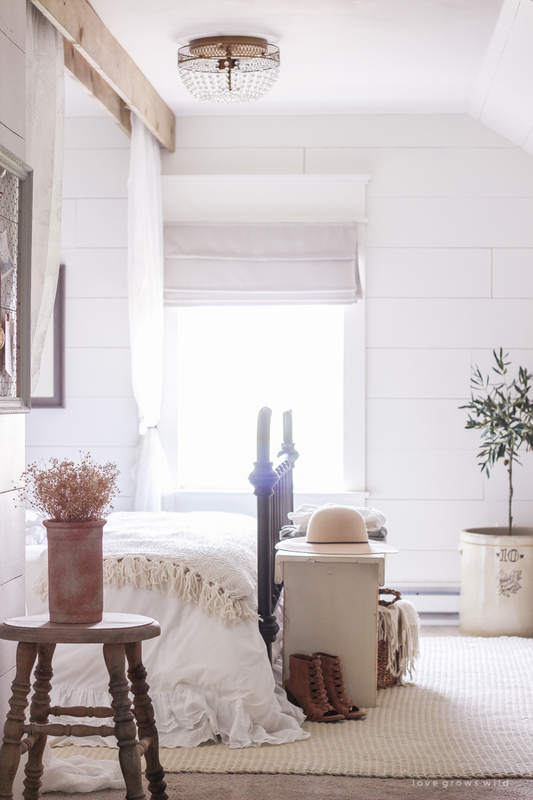 Liz’s bedroom is just perfectly neutral and fresh for spring. I love her olive tree in a crock and the botanical prints on the wall. You have to see the whole room here! 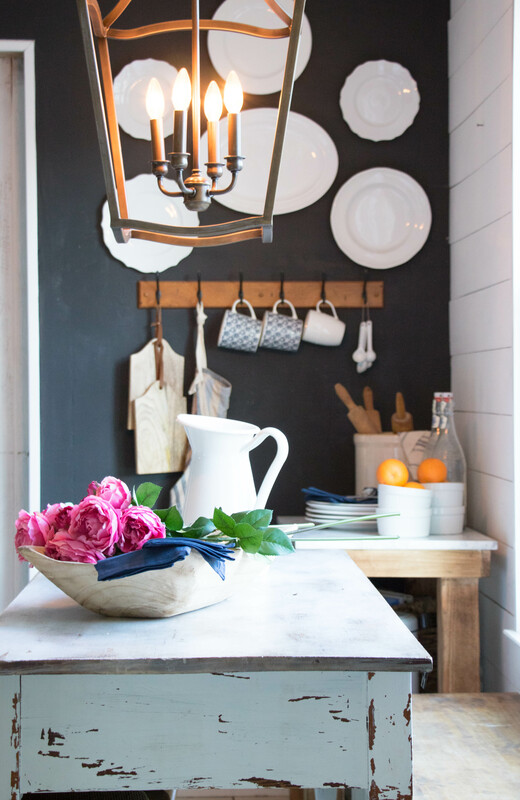 Add some fresh cut flowers to a space for instant “spring” in a kitchen. Deb from Seeking Lavender Lane does this beautifully! We put some faux florals in a wood box in the middle of our farmhouse table. 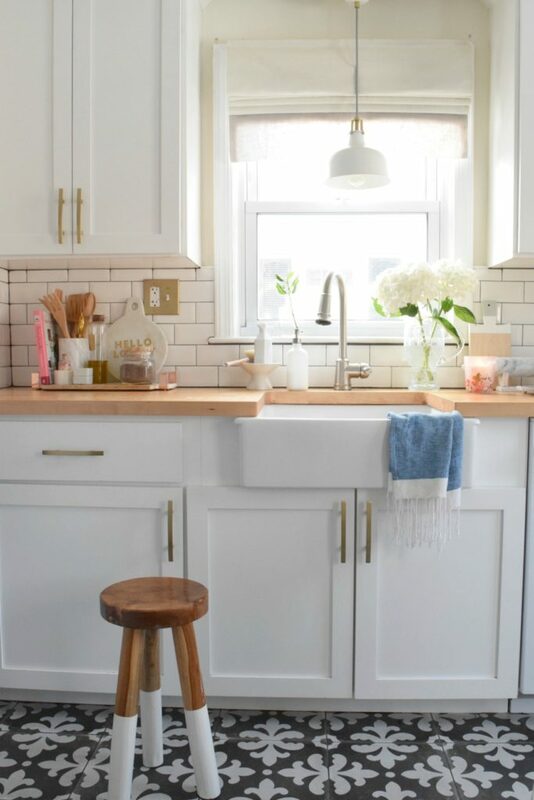 It’s the only thing we need to do to add spring touches to our kitchen! Come see more of the space here. Honestly – decorating for spring shouldn’t be complicated. Sometimes it’s just keeping things light, bright, and adding in some fresh greenery or florals. Brooke from Nesting with Grace shows how this is done perfectly! 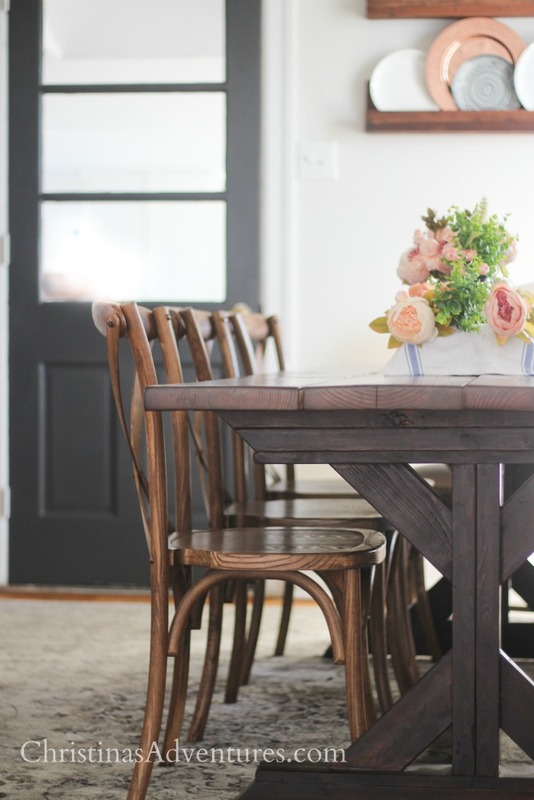 Liz Marie masters the spring look in her dining room! I love the large-scale basket with greens on her table paired with all of the beautiful neutral and textured pieces in her room. 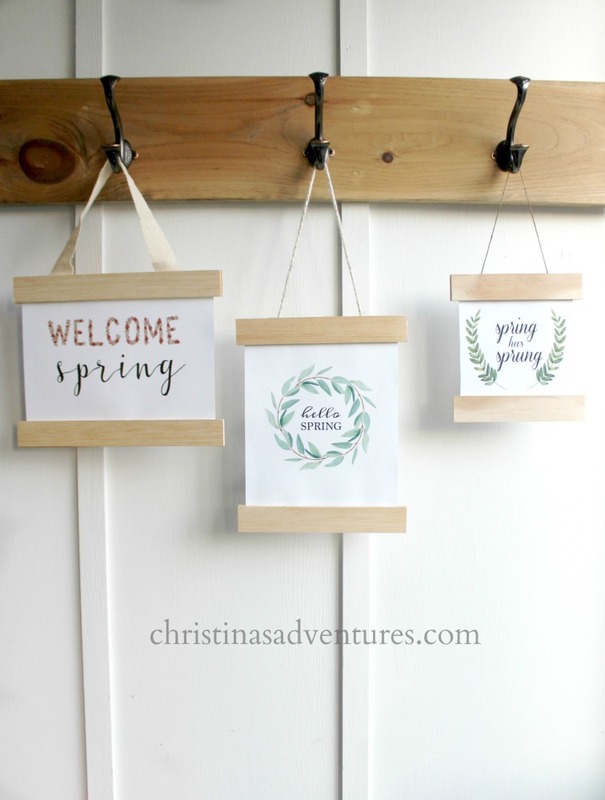 You can make these adorable signs in just a few minutes for your spring farmhouse decor with my free printables! Get all 3 of the designs here. This combination of vintage pieces + florals + a typography sign is just perfect! 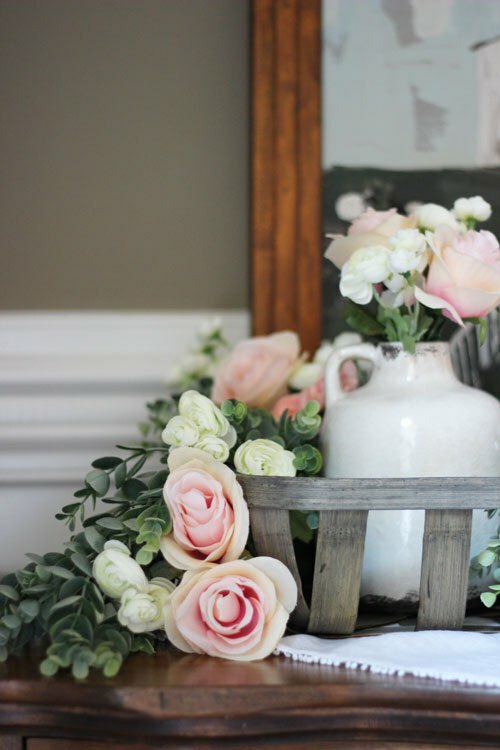 Head over to Little Vintage Nest to see more pictures of how she put this vignette together. 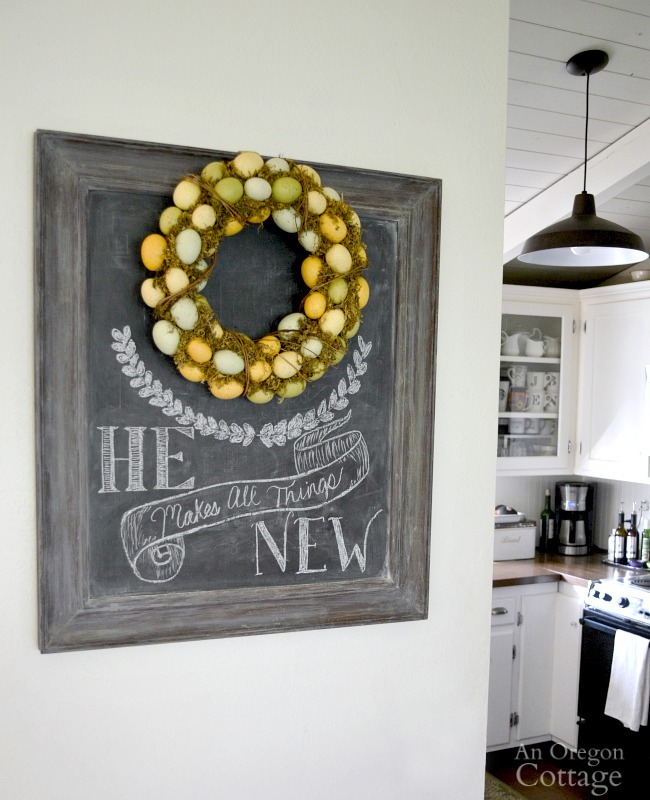 I love the combination of this spring wreath over a chalkboard. This one from An Oregon Cottage is really beautiful! 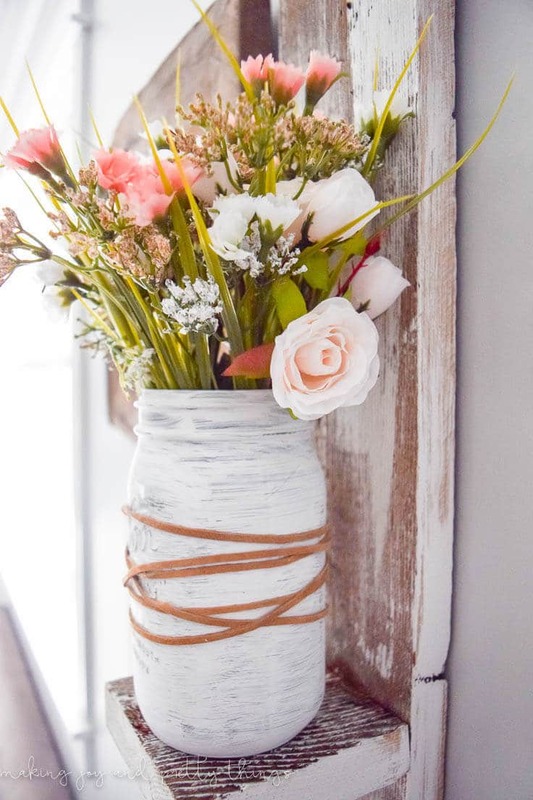 Painted mason jars + spring blooms = the perfect simple farmhouse spring decoration! This is an easy DIY craft from Make Joy and Pretty Things that is really easy to recreate. Learn how to style a tobacco basket with florals – can you believe these are faux? This tutorial from The Hamby Home is really helpful. 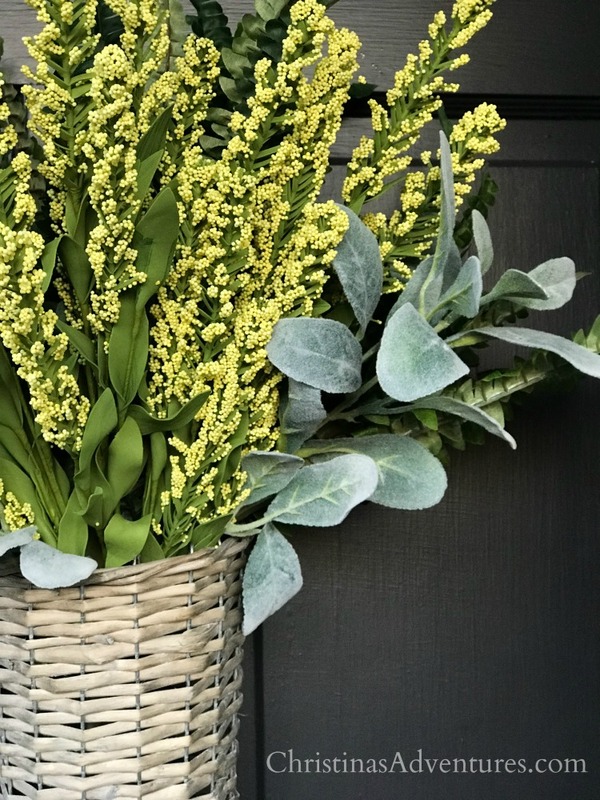 Finally – I just made a VERY simple spring door decoration, and I’m showing you how to make one just like it! Come see the whole easy tutorial here. Like this post? Share with other and save for later by pinning here! Which idea is your favorite? Could you see yourself implementing any of these ideas in your home? I’d love to hear from you in the comments!